I just watched this documentary and cannot recommend it enough. In the past I have not been a huge documentary fan, but I'm realizing half of that was just because I didn't want the responsibility of the knowledge. It's hard to have awareness, it creates responsibility and change in your actions. Which aren't fun things most of the time for me! Serving Life is on Netflix right now, it's 1hr and 25 minutes long but flies by. It's filmed in a Louisiana maximum security prison at Angola, where the average sentence is more than 90 years. With such long sentences, most of these guys will die in prison. 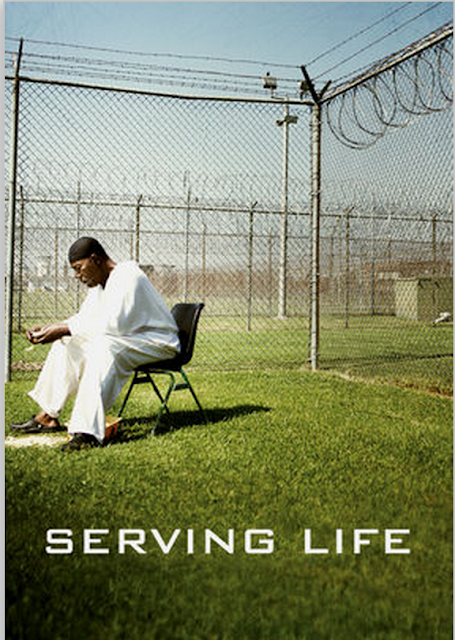 Serving Life documents a hospice program where the inmates care for their dying fellow inmates. It proves to serve as a personal rehabilitation for these prisoners and is heartwarming to see the growth and change that people, even murderers and rapists, are capable of. I have always been anti death penalty, and this only further confirms my stance. People CAN change. Leave the justice and wrath to God. He is a just and righteous God, justice is not ours to take. We are to give grace, provide support and kindness for everyone. I've always felt this weird compassion for inmates, I know not all of them want to change, but many of them do. They just need the opportunities to use their humanity. I feel empowered to find a way to do my part with this community, after a quick google search I came upon Prison Fellowship. It seems like a good place to start! I will update as I come across anymore resources. I would love to know if there is anyone else out there that feels a similar way? And if you have any tips on how I can get involved? Feel free to email me at bbbjones@gmail.com! ps- some other notable mentions for documentaries are Blackfish and Chasing Ice. Do you have any recommendations?